After learning about its devastating consequences of using Glyphosate herbicides like Roundup, I stopped using it years ago and started looking for something speedier and less unsightly than black plastic sheeting. Is There a Safe Alternative to Roundup??? Even as more people continue to learn about the dangers of Roundup the herbicide remains in heavy use in the US and around the world. Many people are still unacquainted with the serious health issues posed by glyphosate, the key ingredient in Roundup which was developed by Monsanto and is now owned by Bayer. Glyphosate was classified as a probable human carcinogen by the World Health Organization (WHO) in March 2015. Is there a safe alternative to Glyphosates like Roundup? The answer is yes, and employing an alternative to Glyphosates like Roundup in gardening or agriculture is more important than ever. Glyphosate is so widely used in the U.S. and around the world that traces of the chemical have been found in breast milk, cotton products, beer, wine (even when made with organic grapes), eggs, oatmeal and non-dairy coffee creamer, among other products. According to Beyond Pesticides, between 180 and 185 million pounds of Roundup products are applied and sprayed every year in the United States, making it the most commonly used agriculture chemical in the country. 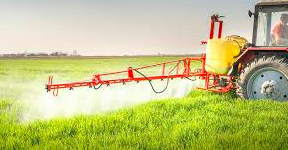 The herbicide has also given rise to GMO’s (Genetically Modified Food), which has been linked to health issues such as infertility, immune problems, faulty insulin regulation, accelerated aging and changes in major organs and the gastrointestinal system. A recent US Geological Survey study sampled waterways in 38 states and found glyphosate in the majority of rivers, streams, ditches and wastewater treatment plants that were tested. Glyphosate also was found in roughly 70 percent of rainfall samples. Breaking News: In August of 2018, school pesticide applicator Dwayne “Lee” Johnson, who is dying of Non-Hodgkin’s Lymphoma, was awarded 289.2 million dollars from Monsanto by a California Supreme Court jury. Monsanto was found guilty of acting with “malice and oppression,” meaning they knew their glyphosate products could cause cancer and the company executives suppressed the information. As of September 2018, over 8,000 more Roundup users are filing lawsuits against Monsanto. A number of different alternative herbicides use a combination of these approaches to great effect. In this article, we are going to discuss the acetic acid (vinegar) approach. In order to get the best results from a Roundup alternative, it is best to use in conjunction with other helpful practices, like working to improve soil health, plant nutrition and irrigation. Remember, an alternative to Roundup is generally going to be a contact herbicide (except for electric shock), not a systemic herbicide, such as Roundup which kills the entire plant by entering the vascular system. Contact herbicides generally work by burning plant foliage that comes into contact with the product. They are only capable of killing weeds that have emerged—they have no residual activity on weeds that emerge after application. Vinegar is a versatile substance and can be used to replace many commercial home and garden chemicals – glyphosate being one of them. Vinegar is a safer and cheaper alternative to these harmful chemicals, not to mention better for the environment. 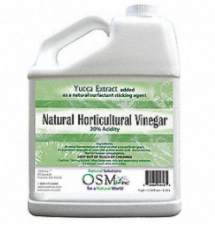 To help get rid of notorious weeds, I’d confidently recommend 30% Vinegar Concentrate which is effective, yet non-toxic. In a pump sprayer you should dilute it to about 15% before using it to target the unwanted weeds. Spray some vinegar on the affected areas of your garden and you will be happy to see the weeds are dead in just a couple of days later. Make sure to use on a wind free day and you’re set!!! Acetic Acid – Commonly known as vinegar, acetic acid affects the cell membranes of a plant and causes rapid breakdown of foliage tissue on contact. Vinegar used for herbicidal purposes can be organic household vinegar, which is roughly five percent acetic acid or agricultural vinegar, which has an acetic acid concentration of roughly 20 percent. In sufficient quantities, agricultural vinegar by itself will quickly burn down a weed. There is much debate on the efficacy of household vinegar versus agricultural vinegar in alternative herbicides. 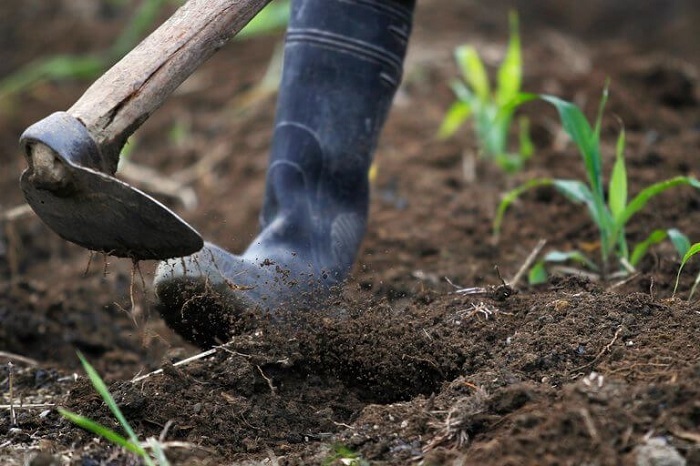 Research has found that acetic acid concentrations between 5 and 10 percent can provide viable control of very small, young weeds that have one or two leaves (or are within two weeks of germination). Larger weeds with three or four leaves more are likely to survive this concentration. Using higher agricultural vinegar with higher concentration of acetic acid and increasing the application volume can improve weed control. 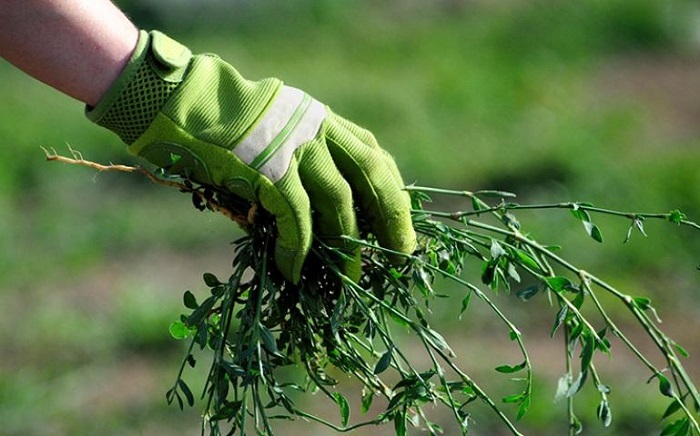 Oil or Soap – Oil will break down any coating or other natural barriers that many weeds produce to protect their leaves. By using oil or soap in your mixture, you give the vinegar and salt a greater chance to penetrate the weed. Additionally, oils and soaps break the tension water on weed surfaces, which keeps the mixture from running off. Alternative herbicides work best when applied on a hot day. If possible, wait until humidity is low and morning dew has burned off. This will allow the mixture to stay in contact with weeds. Be careful not to spray the mixture on plants you do not wish to kill. You can do damage to the plants you are trying to protect if you aren’t careful. Use gloves and protective eye-wear, as the mixture can damage your skin, especially if you are using agricultural vinegar with higher concentration of acetic acid. Larger weeds and perennial weeds may wilt or discolor after application, but in some cases, they will regrow a few days or weeks later. These weeds will require multiple applications to be controlled. 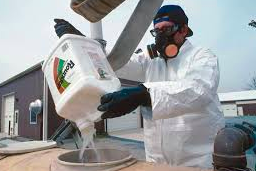 The EPA declared glyphosate safe in 1991. But in March, the International Agency for Research on Cancer, an arm of the World Health Organization, classified glyphosate as a “probable” cause of cancer. I believe you have observed some very interesting details. I really appreciate this post. Wow! Thank you! I have constantly wanted to post something like this on my website. Can I include a portion of your post to my blog? Hi my friend! I want to say that this article is awesome, great written and comes with all the significant information. I’d like to see extra posts like this.